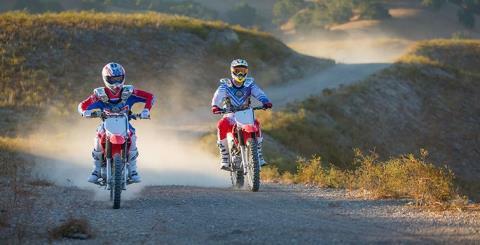 Step Up To The CRF150F. 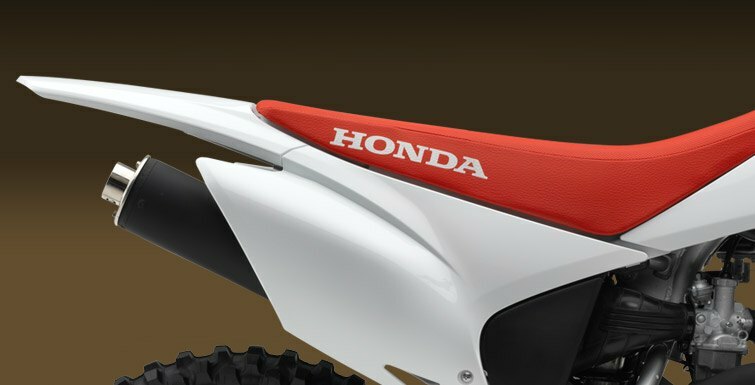 Choosing the right dirt bike for a smaller rider is about three things: the right fit, an appropriate amount of power, and quality. The Honda CRF150F takes our entry-level dirt bike and moves it up a notch or two. 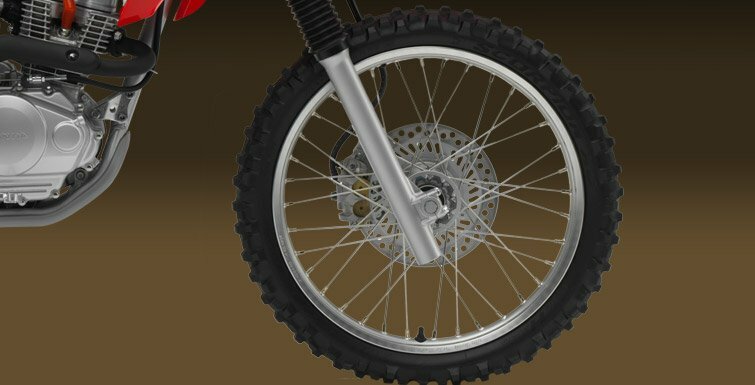 It’s a little taller, to fit taller riders. 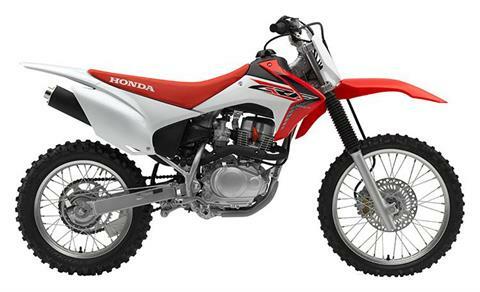 It also offers an easy-to-use electric starter. 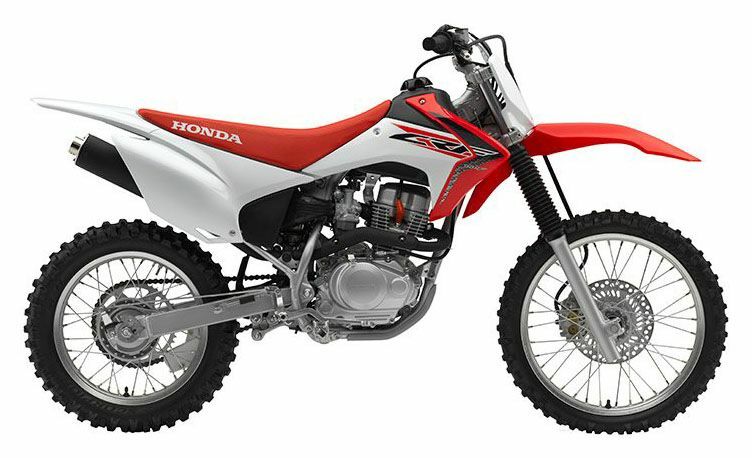 In terms of power, its smooth four-stroke engine delivers plenty, but the powerband is tuned to be plenty rider friendly too. 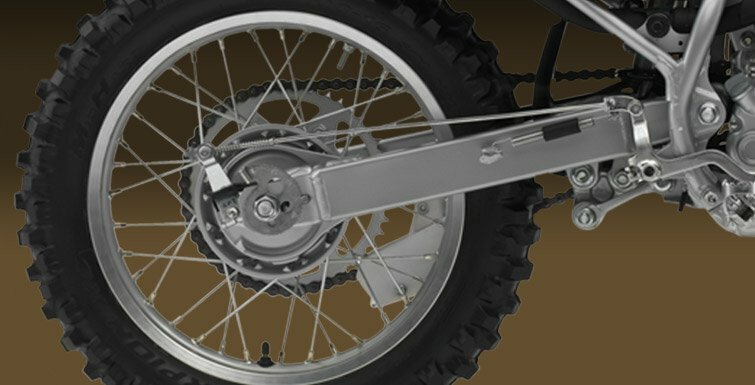 Pro-Link rear suspension takes on the bumps and knocks of the trail. A five-speed transmission gives your rider the control of a big bike. 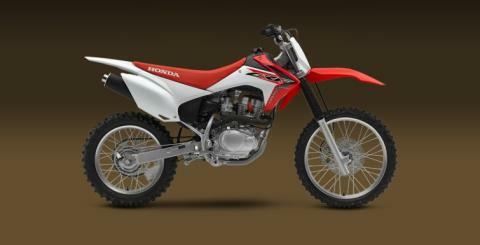 And then there’s Honda’s legendary reliability and build quality—things no other brand can begin to touch. 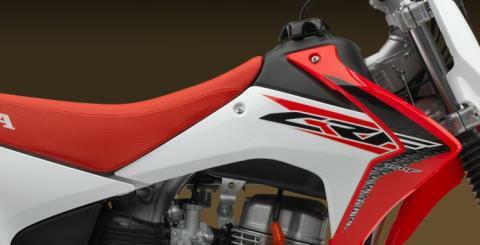 MOTORCROSS-STYLE SEAT: The motocross-style seat is low and comfortable, allowing for maximum rider movement. SEALED BATTERY: The maintenance-free sealed battery helps ensure that your CRF150F is ready to go without a lot of pre-ride preparation. 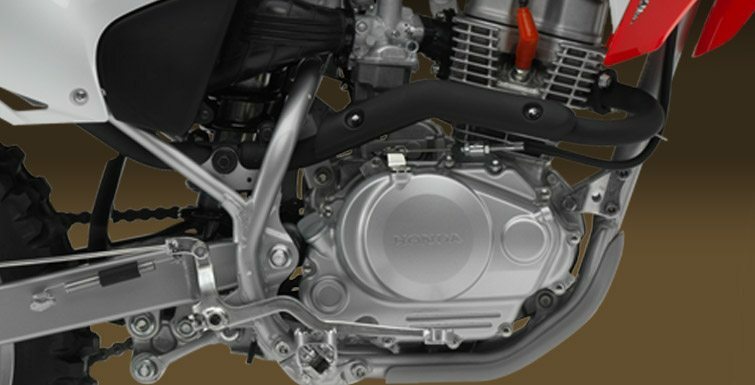 149 CC ENGINE: A dependable 149cc single-cylinder air-cooled four-stroke engine offers plenty of user-friendly power and torque spread over a wide rpm range. 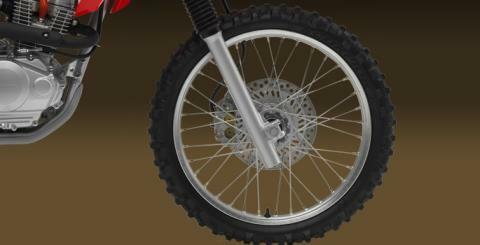 SNAIL-TYPE CHAIN ADJUSTERS: Snail-Type chain adjusters for easy maintenance. 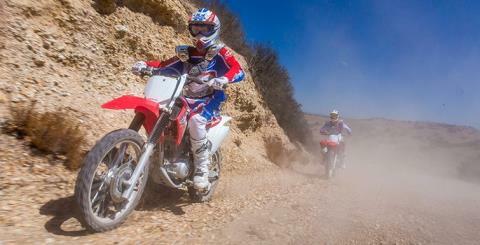 CRF150Fs ARE INTENDED FOR OFF-ROAD OPERATION ONLY. 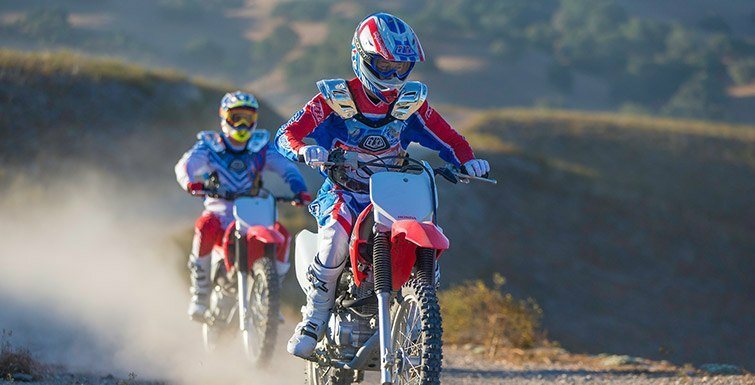 PARENTS NEED TO CONSIDER A RIDER'S AGE, SIZE, ABILITY AND MATURITY BEFORE ALLOWING THEM TO RIDE. ALWAYS WEAR A HELMET, EYE PROTECTION, AND PROTECTIVEE CLOTHING, AND PLEASE RESPECT THE ENVIRONMENT. OBEY THE LAW AND READ THE OWNER'S MANUAL THOROUGHLY. 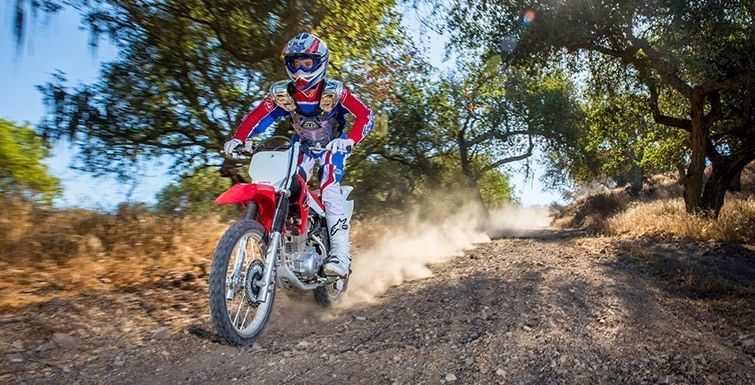 Always stay on established trails in approved riding areas. CRF is a registered trademark of Honda Motor Co., Ltd.